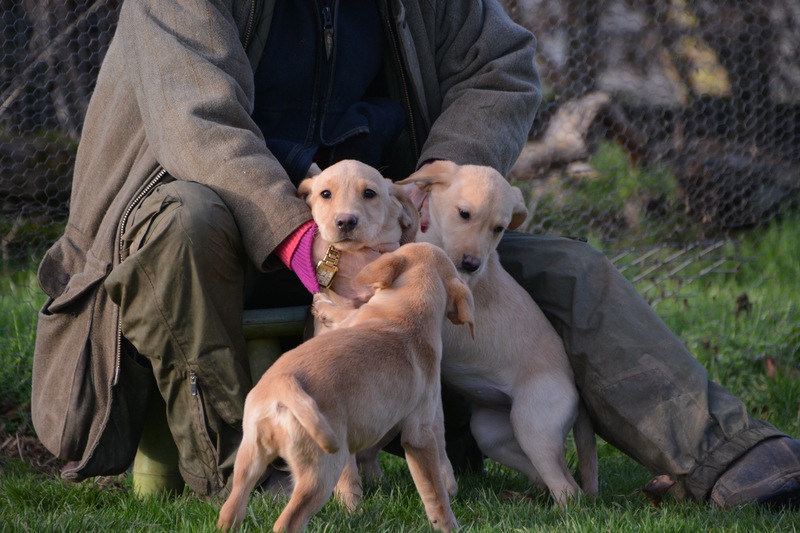 Lovely mixed litter of yellow labrador puppies. 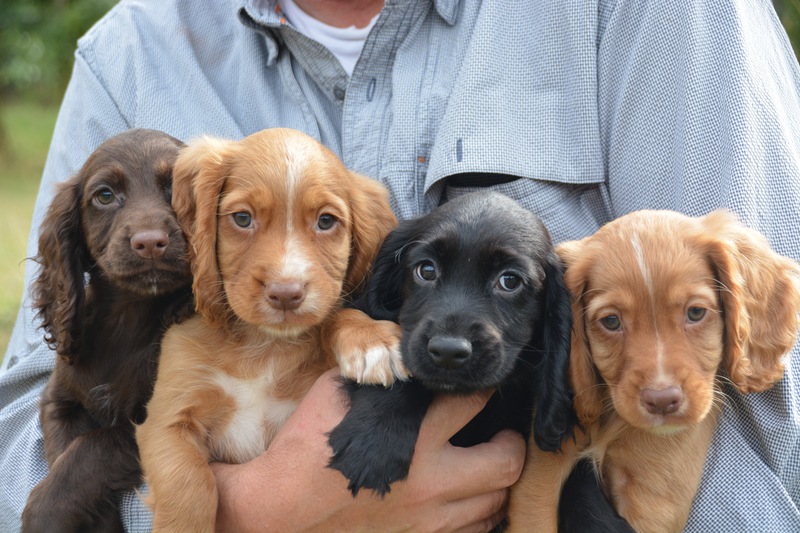 They have wonderful calm natures, that love to be fussed and cuddled with and will not leave your side. 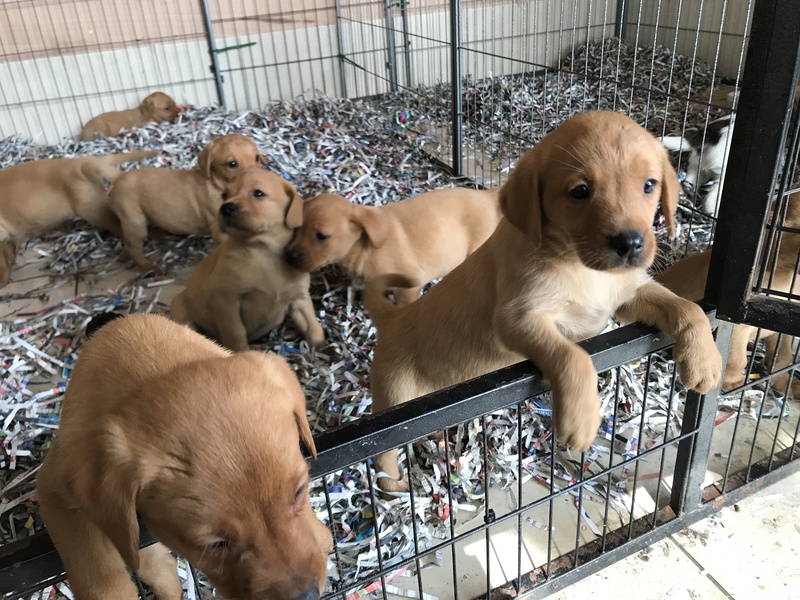 Will make lovely easy to train puppies. 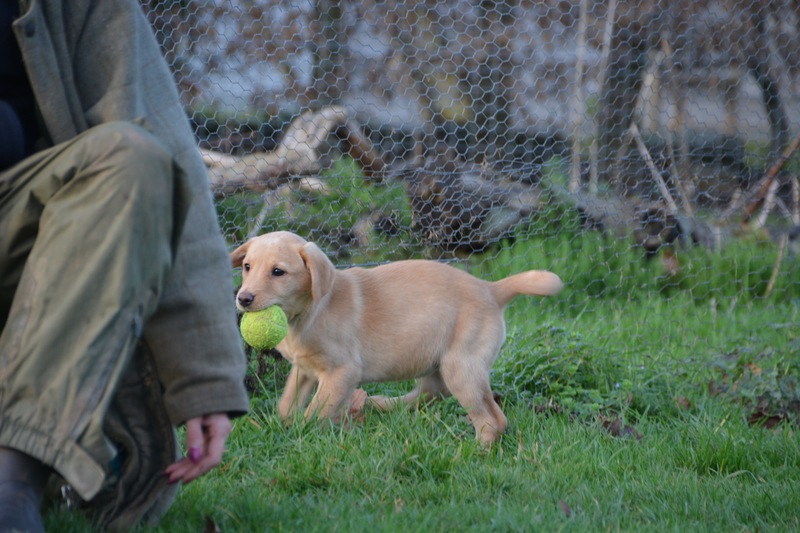 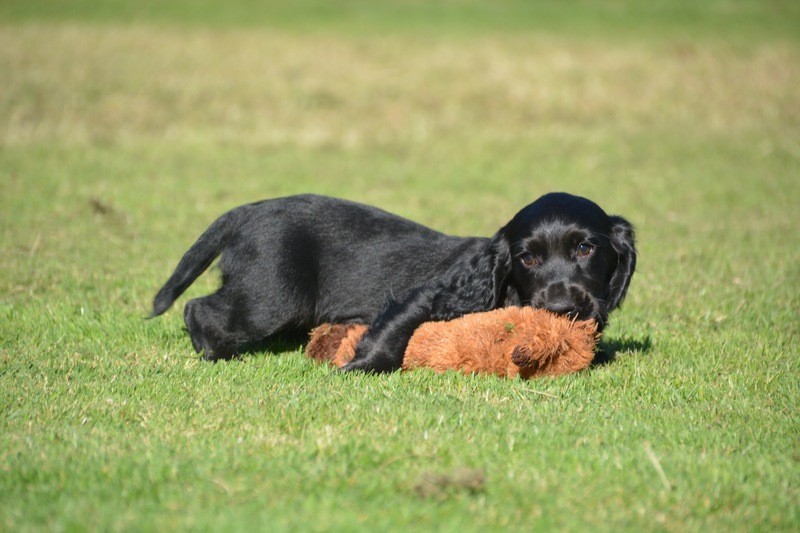 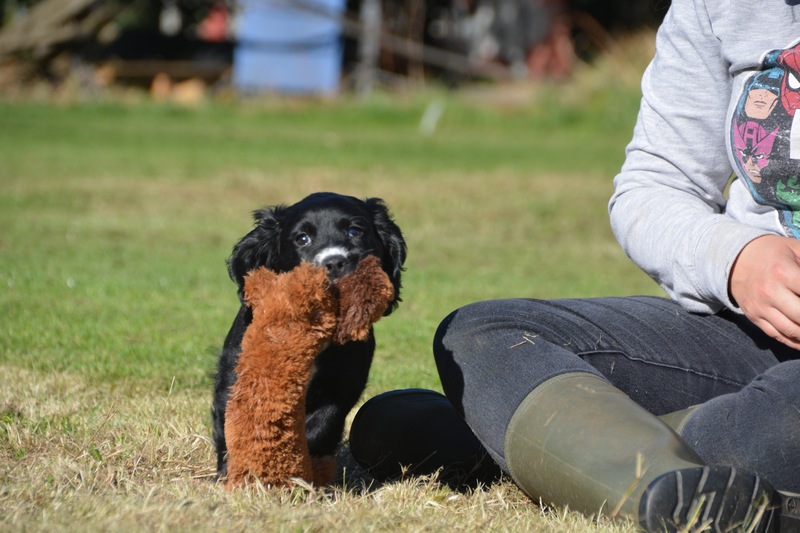 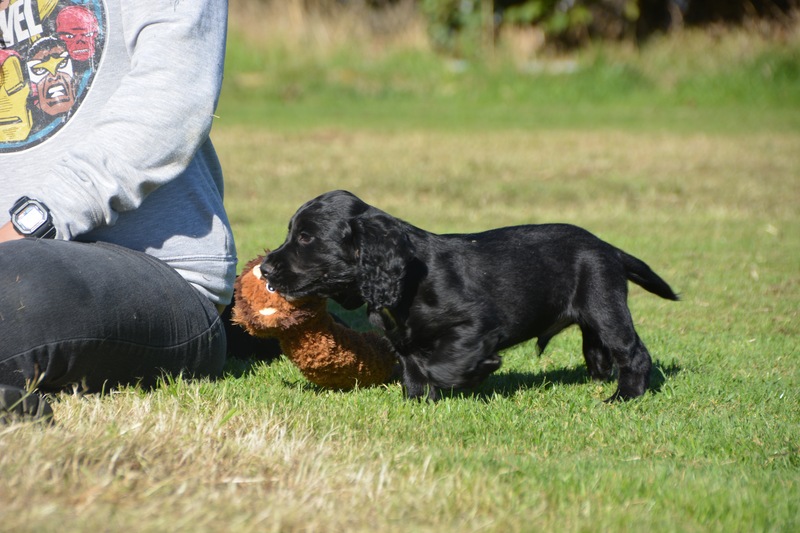 Much like their parents they are playful, starting to show great retrieval instincts and have wonderful characters. 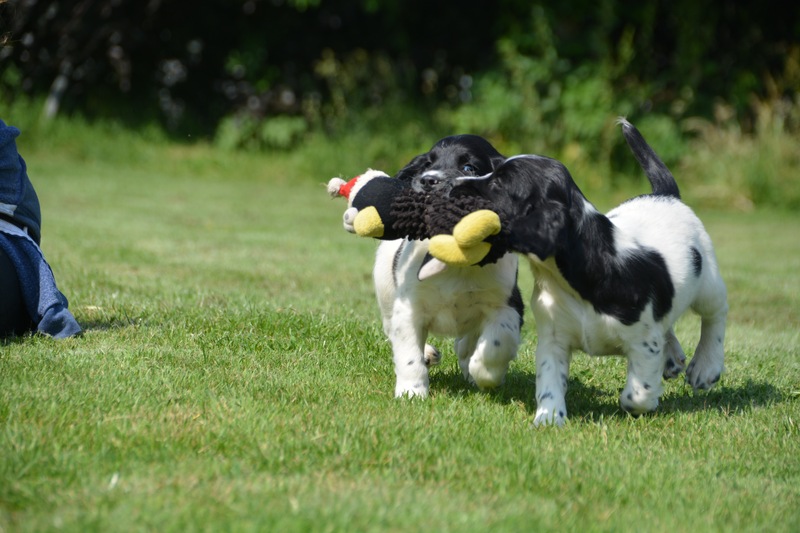 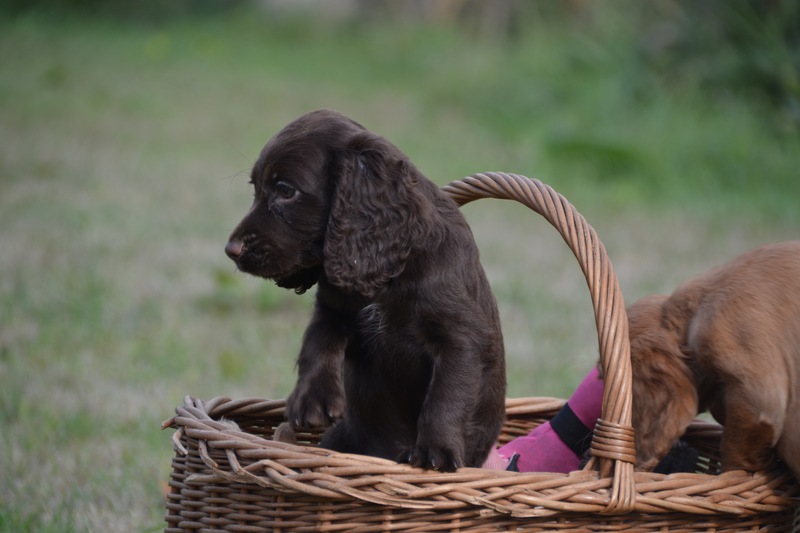 GORGEOUS ENGLISH SPRINGER SPANIEL PUPPIES. 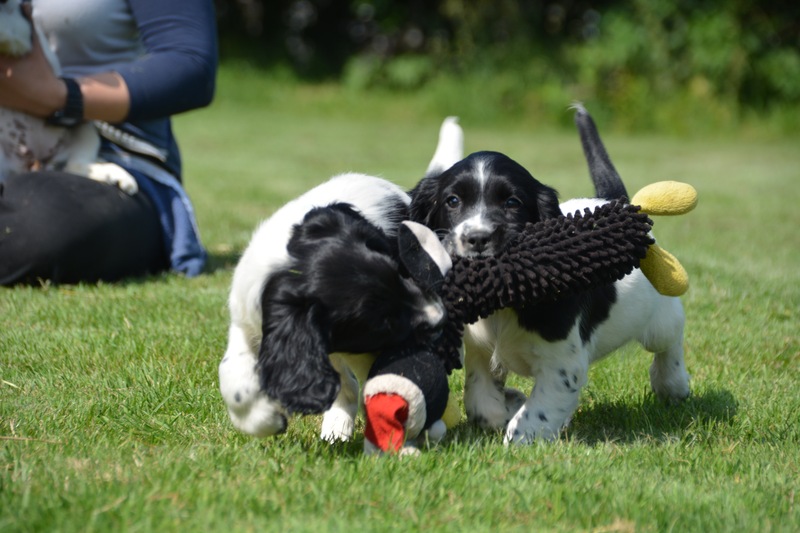 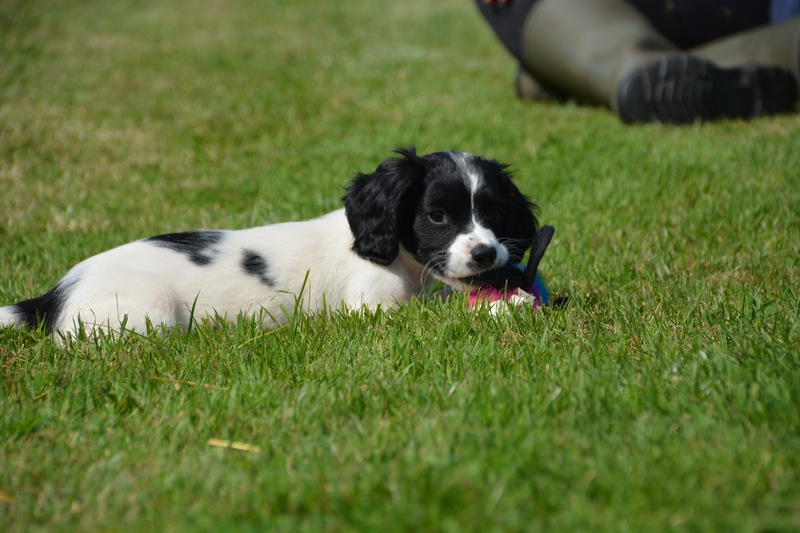 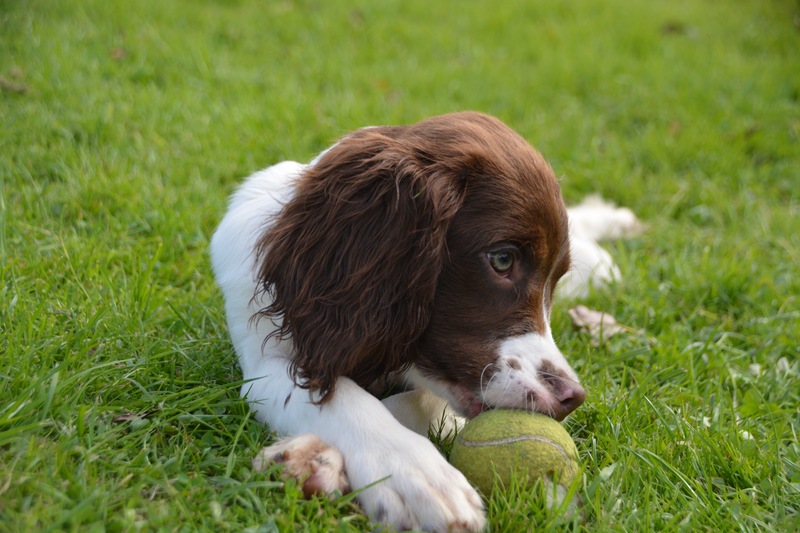 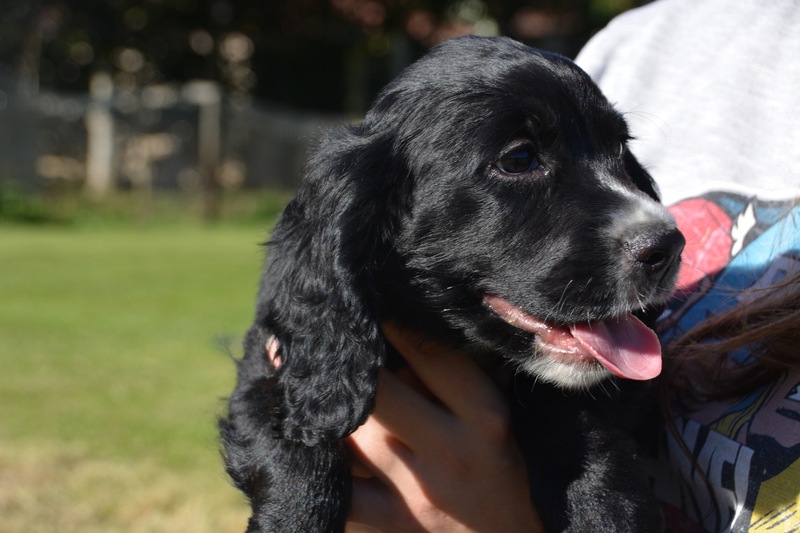 We have some lovely English Springer Spaniel puppies with wonderful temperaments and a range of gorgeous markings. 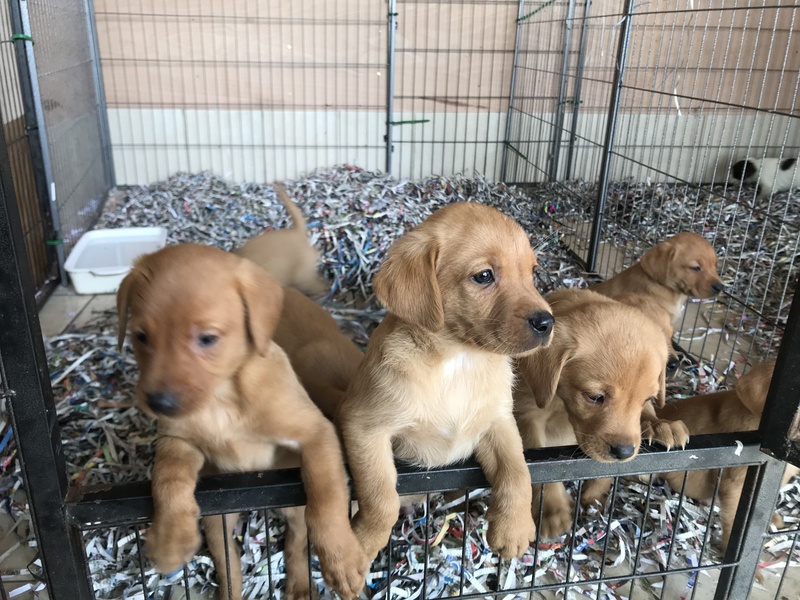 These puppies have calm but at times playful natures that would be lovely for a family pet, they are very interactive and love to be played with and always want to be with you. 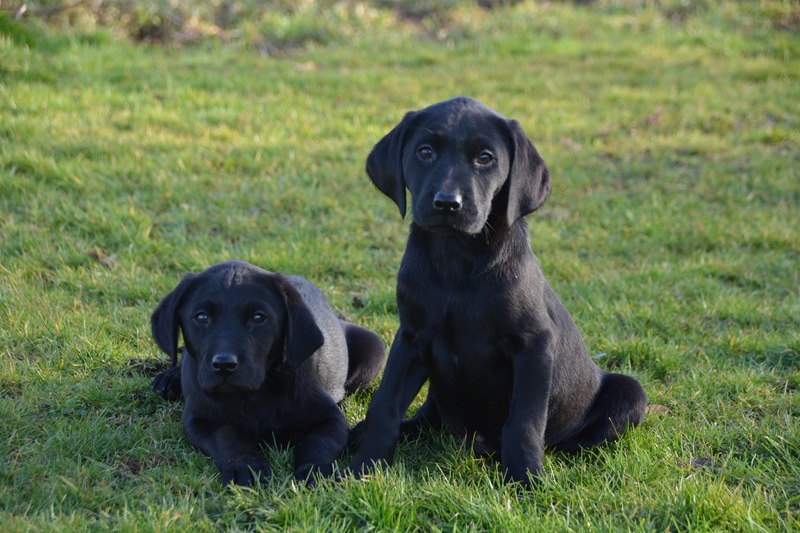 We have a litter of chunky, calm natured beautiful black labrador puppies. 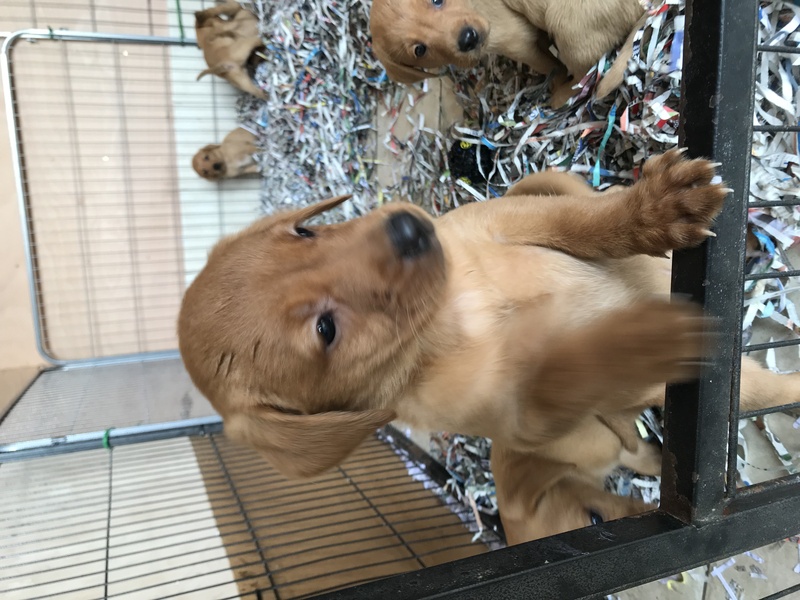 This litter of puppies are very relaxed and would just lie at your feet all day, they are out of our wonderful stud FTW Oakleaf Bozo (Health tests: Hip 4/4, Eye Clear, CNM Clear, prcd-PRA Clear). 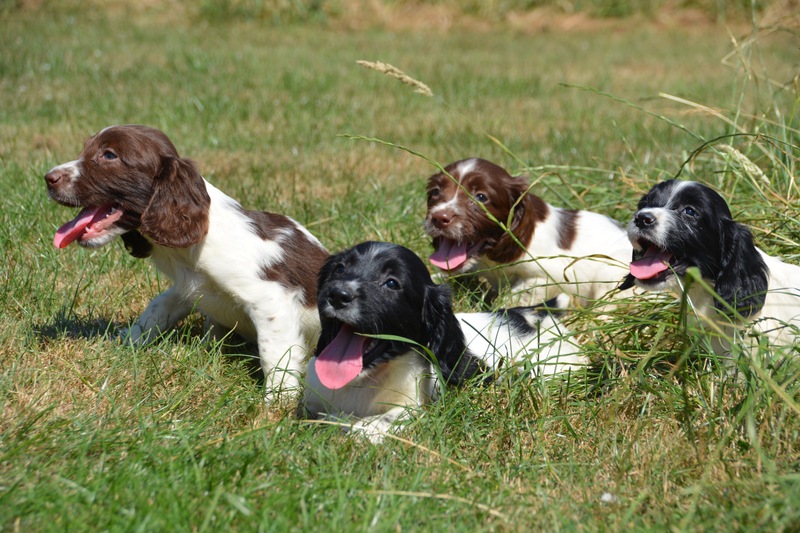 We have a lovely litter of different patterned English Springer Spaniel puppies that are full of life. 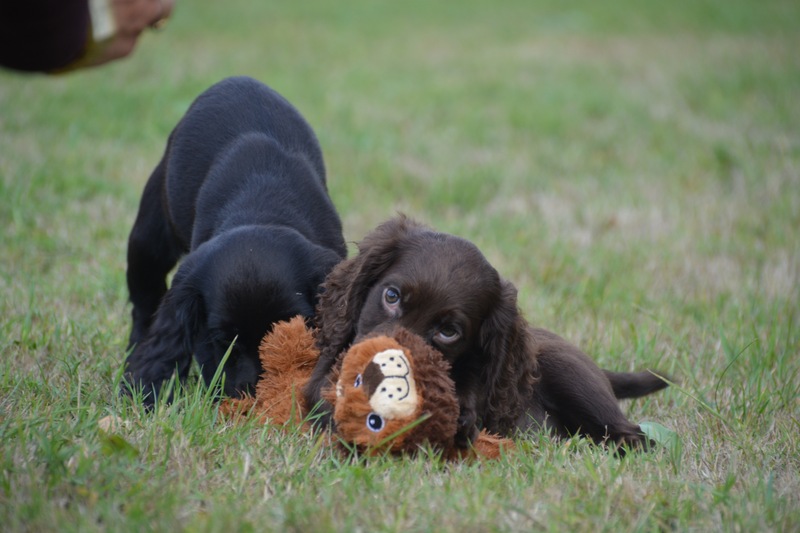 These puppies are energetic and love to play. 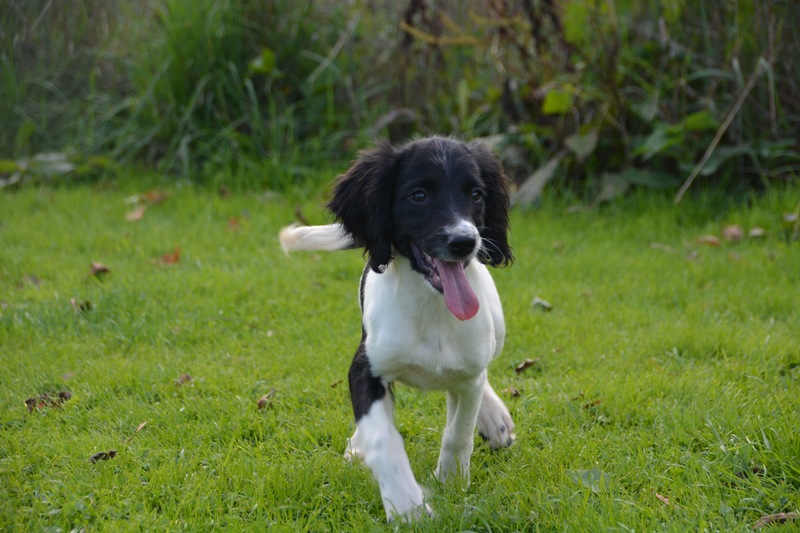 They are much like their parents by being kind natured, excitable and have lovely playful temperaments. 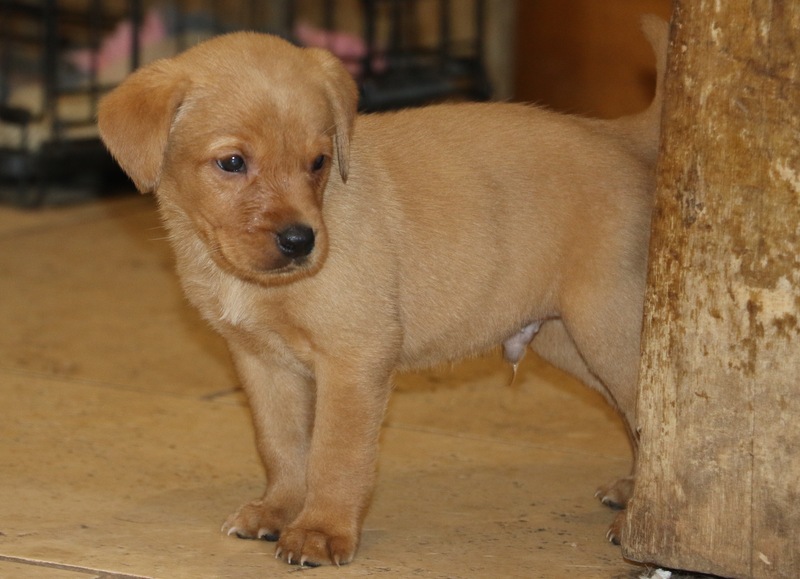 We have available beautiful fox red working labrador puppies. 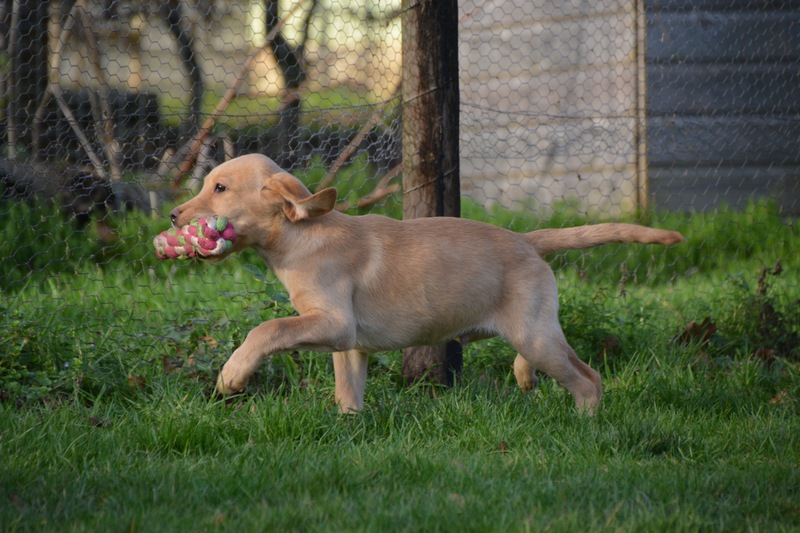 They have wonderful excitable and kind natures that love to play. 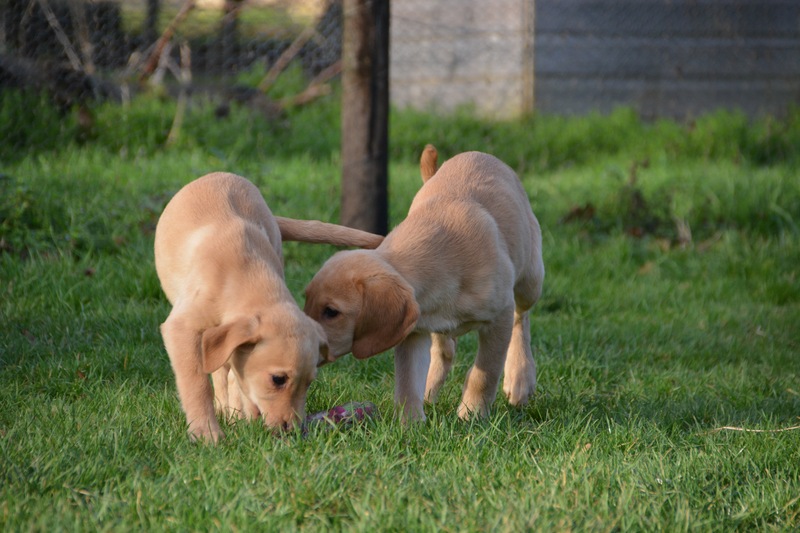 These puppies have been well socialised around children, adults and dogs, and have lovely attitudes that will become promising later on. 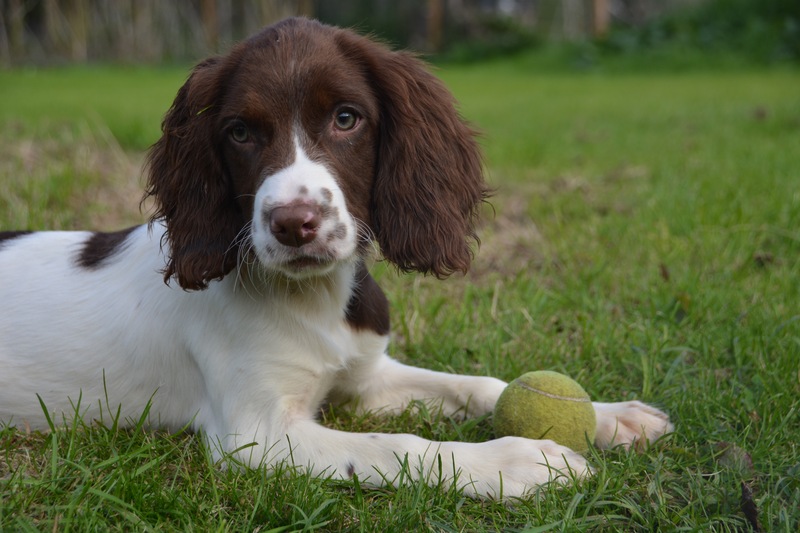 Both parents have been fully health checked. 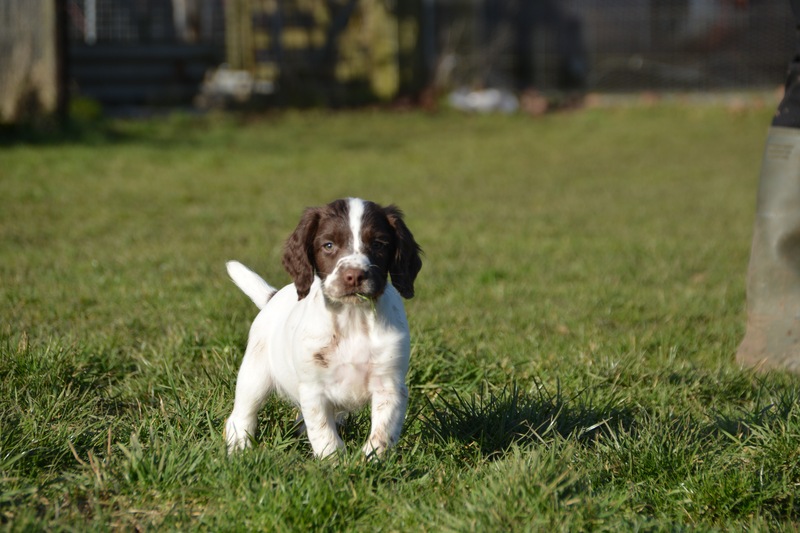 We have a lovely litter of liver and white puppies that are lively and energetic. 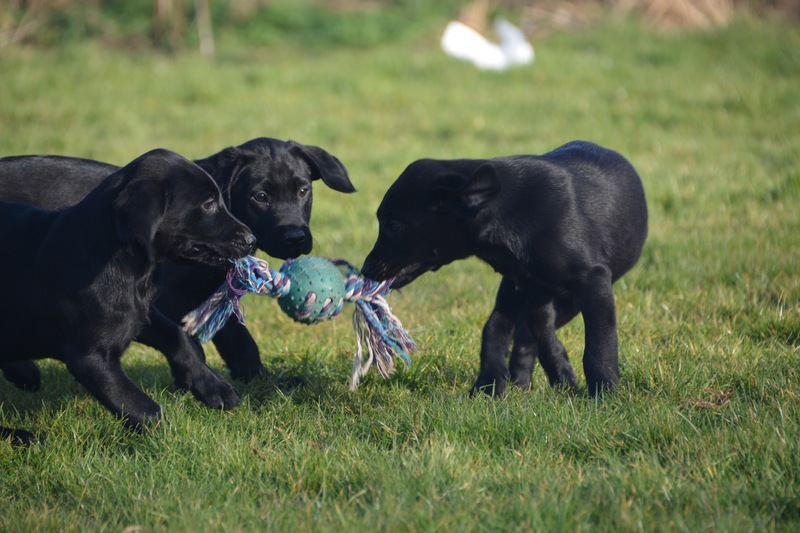 These puppies are very energetic and love to retrieve and play.